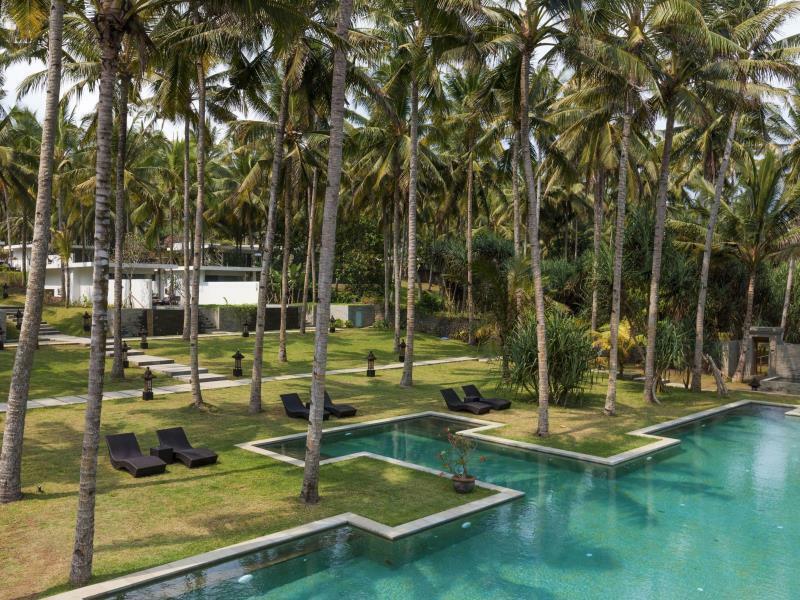 The Puri Dajuma Beach Eco Resort & Spa is perfectly located for both business and leisure guests to Bali. With the guests' convenience in mind, each of the 20 guestrooms at the hotel is well designed and fully equipped to cater to the demands of corporate and holiday travelers looking for unique accommodation in Bali. Each of the hotel's guestrooms offers non smoking rooms, air conditioning, bathrobes, daily newspaper, inhouse movies, desk, hair dryer, internet access (wireless). This Bali accommodation contains all of the facilities and conveniences you would expect from a hotel in its class. Leisure and sports facilities available on the hotel's property comprise massage, pool (kids), jacuzzi, sauna, steamroom, spa, water sports (non-motorized). This hotel is characterized by a combination of modern comfort and traditional element of Bali, making it a distinct accommodation. Make your reservation at the Puri Dajuma Beach Eco Resort & Spa Bali now by selecting your chosen dates of stay and submitting our secure online booking form.